At this very moment, millions and millions of monarch butterflies are migrating 20,000 miles south for the winter. Maybe you live in the northern part of the country and have already seen them, or perhaps you’re still awaiting the arrival of the impending large orange cloud overhead if you live further south (here’s how to check when they’ll be in your area). These past several days we’ve welcomed them to our city and they’re everywhere! I knew very little about these fascinating butterflies and their magnificent migration until we moved to the area, but now it is an ongoing interest in our home – especially around the time of the year when, if you are outside for a few minutes, you’ll spot at least one flittering about. Monarch Watch, a nonprofit devoted to the conservation, education, and research of monarch butterflies was established here in Lawrence, Kansas out of the University of Kansas, so we like to make a big deal about monarchs around here. This is such a great books for a variety of ages about the relationship between the monarch butterfly and the milkweed plant. Simple text makes this book about one bug that’s “Gotta Go! Gotta Go!” a fun way to learn about the monarch migration. Poor Velma is always in the wake of two older sisters, but after a trip to the Butterfly Conservatory finds a way to make herself unforgettable. Meilo So’s illustrations in this picture book are stunning. Hands-down beautiful. The storyline is sweet and an enjoyable read-aloud. I love the Smithsonian Backyard Books series. And this specific one focuses on monarch butterflies. Perfect! A straightforward account of a monarch butterfly’s life cycle for preschool-age children. We first came across this one at our local library. Large text and bold, graphic illustrations about the migration of the monarch butterfly. Gail Gibbons. Need I say more? She always does a great job crating informative text paired with her trademark illustrations. My daughter enjoys the audiobook. The Rabbit family learns about the monarch life cycle and the miracles transformations and journeys of monarch butterflies. This beginning reader book full of illustrations and photographs follows the flight of the monarch butterflies from southern Canada to central Mexico. 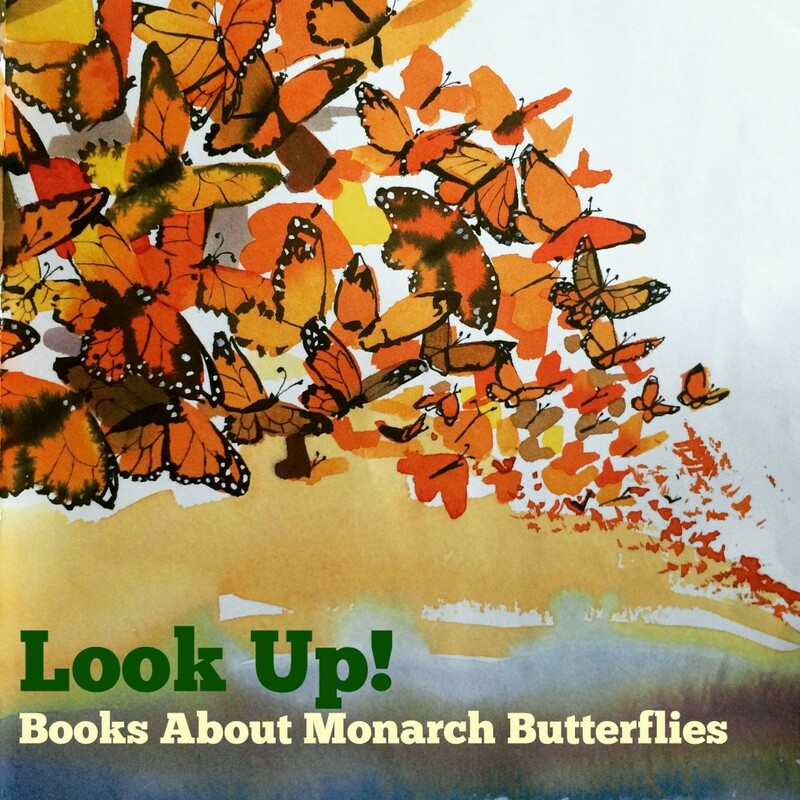 Kids can’t get enough of these National Geographic books for beginning readers and there’s one that focuses solely on the monarch migration! Jilly spots something unfamiliar in the sky, so she and her mother go investigate. What they find is spectacular. A terrific collection of poems all about the monarch butterfly. Okay, so this book isn’t only about monarchs, but the monarch section is phenomenal and provides an in-depth account of the work being done by Monarch Watch. 40 butterfly activities and crafts for kids to explores as well as an informational guide about monarchs. Picture book for an older reader following one butterfly’s entire life span. Anything and everything you wanted to know about the life of the monarch butterflies and the plants that provide sustenance for all stages of it’s life cycle. Beautiful photographs that will amaze all ages. A memoir loaded with lots of facts about the monarch migration, Sue Halpern goes on a quest across the country in search of information about how and why behind the mysterious migration habits of the monarch butterfly. A mesmerizing story about Luz Avila and her journey south along the same migration path of the monarch butterflies, and the women she meets along the way. This novel is classified as an adult book and is best suited for older teens and adults. If you have a favorite book about the Monarchs that I missed, please leave in the comments below! Also, if you’re interested in raising monarch butterflies or starting your own Monarch Waystation, all of that information can be found on the Monarch Watch website. Schools and nonprofits are eligible for free milkweed. Many cities across the country organize events and festivals to welcome the migrating butterflies– Be sure to check your city’s events calendar. If you live in the Lawrence area, there’s a Monarch Watch Open House every September at Foley Hall in the west campus of University of Kansas. Don’t forget to look up! The monarchs are soaring through! Image source for title image is a photograph of Melio So’s illustration in Hurry and the Monarch. My personal favorite is “My, Oh My – a Butterfly!” It has great info about butterfly tagging. I’m not familiar with this title! Thanks for the recommendation!